Eleni is an undergraduate student in the department of International, European and Area Studies at Panteion University. Her mother languages are Armenian and Greek. She speaks English fluently and possesses basic knowledge of French. She has attended numerous seminars and conferences related to the field of her studies. Her scientific interests include issues of Foreign Policy, Geopolitics, Strategy and Theories of International Relations and Diplomacy. 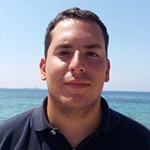 George Chamilakis is an undergraduate student in the department of International, European and Area Studies at Panteion University. He has represented his university at international competitions of international law and he has completed his internship at the Hellenic Ministry of Foreign Affairs. He is a researcher at the Institute of International Relations, in the Crisis Management team, completing a one year research in sino-american relations. He is a column writer at the Group of International and European Affairs, and has participated in a lot of MUN simulations and national and international conferences. He speaks English and French. 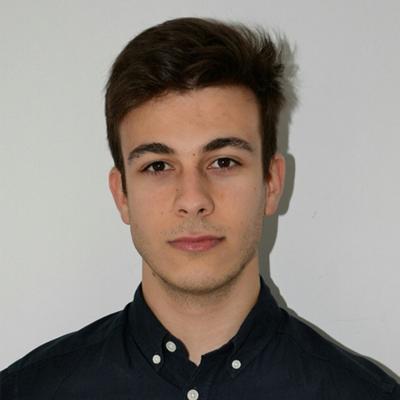 Athanasios is an undergraduate student pursuing a degree in Political Science at Aristotle University of Thessaloniki. Though the Erasmus+ Program, he completed academic coursework in Political Science and Civics at ISCTE – University Institute of Lisbon in Lisbon, Portugal. He is fluent in English and possesses basic knowledge of the Portuguese language. He has participated in the Model Parliament of Greece as a Member of Parliament and in several Model United Nations conferences. He has attended various conferences related to international relations, the Macedonian naming dispute, E-Governance, European defense and security, Greek-American relations, as well as Russian, Chinese, and American politics. His academic interests include Greek-Turkish relations, diplomatic strategy and security, military history and practice, and the history and politics of former Eastern Bloc countries and China. An undergraduate studying Criminology BA (Hons) at Coventry University. Fluent in the Greek and English language while he also possesses basic knowledge of Spanish and French. He has attended in numerous lectures and seminars on various subjects within the criminological field and participated in educational field trips in Auschwitz – Birkenau and in the Holocaust Memorial in Berlin. Furthermore, he has participated in presentations on different criminological matters in world known universities, such as the University of Edinburgh and the University of Cambridge. His interests of research include, but not limited to terrorism, transnational organised crime, international relations and global security. 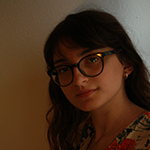 Katerina Daoutakou is a undergraduate student at the Department of Political Science and International Relations, University of the Peloponnese, and the direction in International Relations. She speaks English fluently and holds basic knowledge in Spanish. She has attended many seminars and lectures, participated in many simulations, contributed to the organization of conferences related to the field of her studies. In addition, she has been actively engaged in articles, analysis and researches over the last two years through the websites hosting her work and the think-tanks she is in. Her research interests include Foreign Policy, International Relations, Strategic Studies, Global Security, the section of Conflicts and the Terrorism. 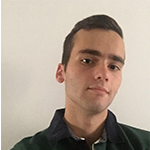 Evangelos is an undergraduate student of Athens University of Economics and Business (AUEB) at the department of Economics. He has participated in several simulations with a European and national character, and he is also participating at seminars and conferences with subjects around the field of his study. He serves as an assistant Researcher at the Centre of International & European Political Economy & Governance (CIEPEG) at the University of Peloponnese while at the same time he is a columnist in the scientific analysis website Power Politics. His scientific interests focus on political economy, international economic relations and European economics. 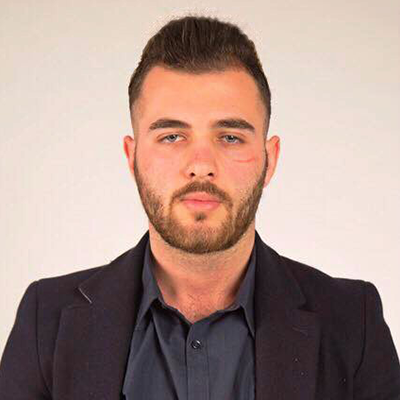 Gkikas Menelaos is an undergraduate student in the department of Political Science and History at Panteion University. He has spent a semester though the Erasmus program in Italy and has participated in a voluntary program in mountainous regions of Romania. He speaks English, Albanian and Italian. His academic interests concern mainly history, politics and European matters. Currently he’s doing his internship at the Center for International Strategic Analyses (KEDISA). 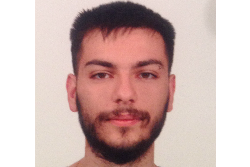 He is a undergraduate student of the Department of International, European and Regional Studies of Panteion University, with directions of international relations and international law. His mother tongue is Albanian.He knows fluent English while he is also in the process of learning the Italian language. He has held a three-month practical exercise at the Hellenic Society for the Protection of Nature while being a volunteer at the Greek-Chinese Society for Development & Cooperation.He has attended numerous conferences and scientific conferences related to his subject. He has a certified PC knowledge. His scientific interests include international relations, strategic studies and analyzes, Greece’s bilateral relations with other countries, environmental issues and the rise of China’s growth. Undergraduate student of the Department of Political Sciences and Public Administration of the University of Athens. She has been involved in several research projects as an assistant at the Institute of International Economic Relations. She has attended numerous seminars and lectures, has participated in simulations, has helped organize conferences on the subject of her studies. He is the leader of an independent volunteer team and has taken part in various refugee crisis programs in Greece and abroad. She is currently having an internship at the Foreign Ministry and more specifically at the Diplomatic Academy. In the pasts she has been involved with marketing in advertising companies. 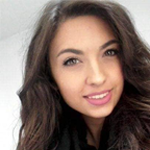 She speaks fluent Greek, English, Albanian, Russian and holds basic knowledge of German. Her research interests are focused on the issues of International Politics, Political Economy and Political Marketing. Undergraduate student International and European Studies at the University of Pireaus. He is currently doing an internship at the Institute of International Economic Relations and is also an editor in the website Power Politics. He has attended numerous conferences and lectures, as well as seminars, on the subject of International Relations. He speaks fluent English, while having an adequate knowledge of German. His research interests include Strategy, Theory and History of International Relations, Terrorism, Middle East and Russia – Eurasia and Greek foreign policy. Undergraduate student of the Department of International and European Studies, at the University of Piraeus. She has an aptitude for research and article-writing. She apprenticed in South Africa (Cape Town) for three years and has an excellent knowledge of the English language. 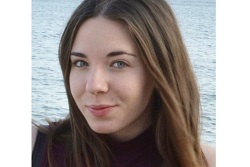 Anastasia has attended seminars linked to her discipline and has also taken part in a simulation with European institutions. Strategic and African Studies, geopolitics and geo-economics lie between her main academic interests. In her leisure time, she occupies herself with the art of theatre, singing and photography. 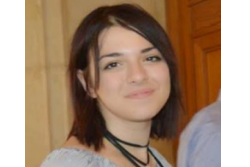 Vasiliki is an undergraduate student in the department of “International and European Studies” at the University of Piraeus, with the direction of Energy Security and Diplomacy. Her academic interests include, among others, the fields of Energy, International Relations, Intelligence, Strategy and Geopolitics. She has held a three-month (March –May 2018) internship at the Center for International Strategic Analyses (KEDISA). She has participated in many conferences, seminars and lectures with subjects around the field of her studies. 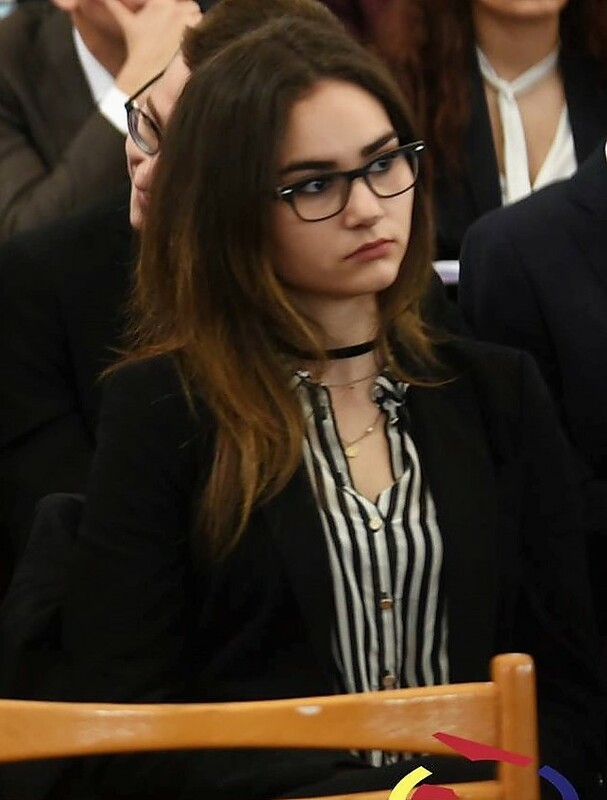 She has also participated as a Member of the Parliament in the 21st Pan-Hellenic Youth Parliament, with subject “The International Society in a deep crisis period”, in the committee of “Modern Espionage and the War of Intelligence”. She speaks fluently English and French. At her leisure time she occupies with reading (Literature and Ancient Greek Philosophy), playing the piano, going shooting and Kick Boxing. 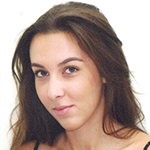 Eleni is an undergraduate student at the department of International, European and Area Studies at Panteion University. Her mother languages are Norwegian and Greek. Except from these, she is also fluent in English and holds a basic knowledge of the German and French languages. Furthermore, she has completed a voluntary internship at the department of Human Rights, Minorities, Refugees and Immigrants at the Hellenic Ministry of Foreign Affairs and has participated in simulations of the United Nations and Regional Organisations. She has also attended various conferences relevant to her field of study and her academic interests include, amongst others international relations, human rights, geopolitcs and strategy. 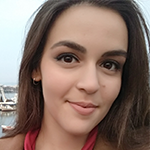 Vasiliki is an undergraduate student at the Department of Political Science and Public Administration at the National and Kapodistrian University of Athens. She speaks English fluently and holds basic knowledge of French. She has attended various seminars and scientific lectures related to the field of her studies. Her research interests focus on foreign policy issues, Greek-Turkish relations, European Union, global economic threats, human rights and the United Nations. She has developed various voluntary actions. 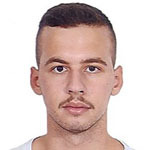 Lamprini is an undergraduate student in the department of International and European Studies at the University of Piraeus with a keen interest in strategy, international politics, diplomatic and economic developments. Her favorite hobby is to be involved in simulations of the UN and European institutions. He plans to do postgraduate studies in management and finance in the field of international shipping. 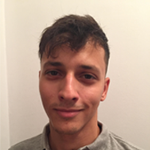 George is a senior student to the faculty of Political Science at the Aristotle University of Thessaloniki. Through the Erasmus+ program, he studied for one semester in Warsaw to the department of Political Science and International Relations – University of Warsaw, Poland. He possesses knowledge of English and French language. He participated in many simulations of the UN and UNESCO, in Greece and Romania as well as in simulations concerning local political procedures. Furthermore, he participated as volunteer at Grapess which has as scope financial and political issues. Finally, he has attended various conferences regarding the latest elections of the US and the military coup in Turkey and the role of the country in Middle East. His accademic interest focus in the resolution of transnational conflicts especially in Middle East and the aspect of International Security. 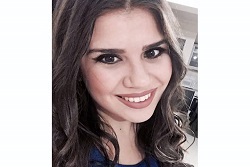 Panagiota Pierrinakou is an undergraduate student of International, European and Area Studies at Panteion University,( fields of international law and international relations). She is fluent in English, holds basic German knowledge and she is in the process of learning French. She has attended an academic semester at Metropolitan University of Prague (Czech Republic) through the Erasmus + program (February-June 2016). She has also completed a voluntary Internship at the Hellenic Ministry of Foreign Affairs, at the Directorate for Arab Countries and the Middle East during the first four months of 2017.She has participated in numerous conferences and scientific sessions relevant to the subject of her studies and has also taken part in a simulation of the UNESCO Committees (SimUnesco 2016) at Ionian University. Furthermore, she has certified knowledge on basic computer programs. Among her scientific interests are the study of International relations, Euro-Atlantic relations, the situation in the Middle East, International Justice, Strategic thinking from antiquity to present day, human security and sustainable development issues included. 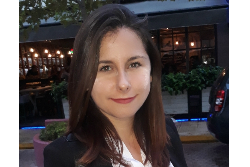 Iro-Christina Pliaka is a graduate student at the Department of International and European Studies of University of Piraeus and she speaks English, French and Spanish. She has attended and participated in meetings and seminars about her discipline. Her research interests include subjects of foreign affairs and international economy. 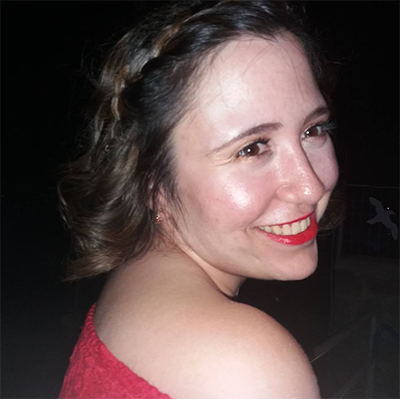 Angeliki graduated from the Musical School in Rhodes and she is an undergraduate student at Panteion University of Social and Political Sciences, department of Public Administration, with the subject “Public Institutions”. In parallel, she studied classic piano in the Hellenic Conservatory. Furthermore, she held an internship position at the C2 Directorate for European Integration, Economic & Monetary Policy of the Hellenic Ministry for the Foreign Affairs. She speaks English and French. Also, she has participated in seminars, lectures and conferences which are related to her studies and are focused on European issues. Her scientific interests are the International Relations, the International Organizations and issues of the European Union. On her free time she is involved in volunteering programs, she participates in cultural events and enjoy reading Greek or foreign literature and poetry. Mary Varzakakou is an undergraduated student in the Department of International and European Studies of the University of Piraeus. She was a researcher at the Laboratory of Strategic Communication and Media of the University of Piraeus, in the framework of which she produced and presented two researches. The first was titled “The rhetorical attacks on Greek telesales – Elections 2015” and the second as “The paths of European de-integration and the image of the USA: Comparative analysis of the Greek and British referendums” For the last two and a half years she has been writing on Power Politics.eu site in the field of Diplomacy and Politics. She has practiced at the Foreign Ministry, in the Information Service and the at Political and Corporate Communications Company, called Spin Political and Corporate Communications. 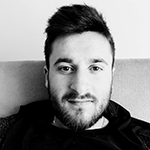 Ioannis D. Velentzas is a student of the Department of Political Science and Public Administration of the National and Kapodistrian University of Athens. He has graduated from the Pakistan Embassy College of Beijing (P.E.C.B.) and he has a good knowledge of English language. He has participated in seminars concerning international affairs, refugee issues and also on geopolitics. He has got an internship in the Ministry of Foreign Affairs of the Hellenic republic in the special legal department at the International Bureau. During this period, he is getting an internship in the Higher Personnel Selection Council .Additionally, his interests are focused on issues such as foreign policy, historical analysis of political effects, terrorism, the structure and functioning of the EU as well as the historical constitution of the EU and the common foreign and political defense of the European Union. He also deals with humanitarian issues, as he participates in the action of the Hellenic Red Cross as a volunteer. In this context, he gained the title of volunteer Samaritan, successfully passing the First Aid School. Thus he acquired knowledge about refugee and rescue in natural disasters (MANDRA, MATI, KINETA). Finally, he is certified by the Fire Brigade for firefighting issues. Aggeliki is an undergraduate student of the National and Kapodistrian University of Athens(UOA), department of Political Science and Public Administration, with a focus on «International and European Studies» and graduate student of the Experimental School of the University of Athens (PSPA).She has participated at the Excellence group of Oral and Written Speech (Rhetoric and Arguments)and she has gained excellent communication skills through participation at simulations of an international and national character (Europa.S, Model of the Parliament of the Youth) and through a simulation of the international institutions within the framework of a university course. Also she has specific interest of participation at seminars/lectures/conferences with subjects around the field of her study. She has completed an internship at the Ministry of Foreign Affairs of Greece and at the Center for International Strategic Analyses-KEDISA. She has published an article at the newspaper «ΕSTIA» for the tribute of the 60 years since the foundation of the European Union. She has participated as a volunteer in many kinds of groups such as the Special Olympics 2011, at the Ceremony of the National Olympic Academy of Greece (HOA) and the opening ceremony of the 33rd Marathon. Her scientific interests focus om International Relations and International Organizations. Alongside her studies she works at the European Cultural and Research Centre of Athens. At her leisure time she occupies with dancing (ballet and modern dancing) and music (classic guitar).